Can computers win gold medals? The Ariel Performance Analysis System (APAS) version 14.2.3 is available. APAS is a video-based 3D motion analysis system. APAS can capture video from multiple cameras simultaneously and perform a biomechanical analysis automatically. Any high resolution video at any speed is supported. High-speed video with h.264 video codecs is supported in .mov .mp4, and .avi video formats. As a child in Israel, Dr. Gideon Ariel had five goals—breaking the Israeli records in the shot put and discus, representing Israel in the Olympic Games, studying at a university in America, becoming a multimillionaire and owning a Cadillac. These goals might have seemed unobtainable to a young man on the way to juvenile delinquency, but picking up the discus changed all that. And one sailing, floating throw of a discus in a single competitive event set him on a path to becoming a world-renowned biomechanist and operating his own dream factory. The International Society of Biomechanics in Sports (ISBS) anounced that the recipient of the Geoffrey Dyson Award for the ISBS 2012 conference is Dr. Gideon Ariel. The Geoffrey Dyson Award and Keynote Presentation is the most prestigious award offered by ISBS. It is awarded to an individual who through his/her professional career has embodied and carried out the mission of ISBS. Gideon is well known in the field of sports biomechanics due to his extensive knowledge of how physics applies to human motion, as well as his expertise in computer science. He is a former Olympic athlete, and completed his graduate and post-doctoral work at the University of Massachusetts, where he received a PhD in Exercise and Computer Science. He has published numerous scientific papers, founded an independent laboratory devoted to biomechanical research relating to human performance, and was chairman of the U.S. Olympic Biomechanical Committee. As a child in Israel, Dr. Gideon Ariel had five goals—breaking the Israeli records in the shot put and discus, representing Israel in the Olympic Games, studying at a university in America, becoming a multimillionaire and owning a Cadillac. These goals might have seemed unobtainable to a young man on his way to juvenile delinquency, but picking up the discus changed all that. And one sailing, floating throw in a single competitive event set him on a path to becoming a world-renowned biomechanist and operating his own dream factory. Following Ariel from his birth in Tel Aviv in 1939 to a kibbutz where he met the people that would change his life, The Discus Thrower & His Dream Factory describes the journey in great detail. Once a troubled youth, his love of shot put and discus improved not only his physical performance but his emotional performance as well. He gained confidence and dared to dream. And when the Olympics came calling, Ariel was ready to answer. 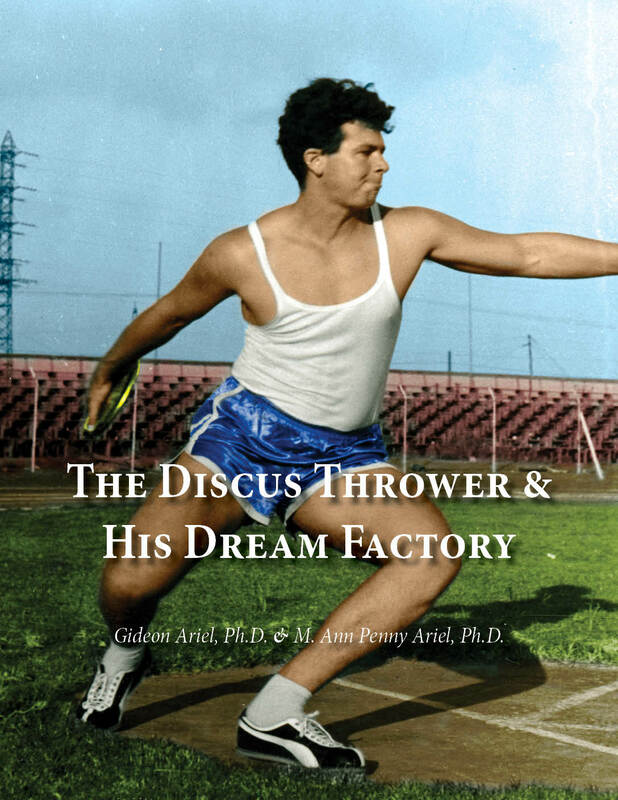 Not only a fascinating life story, The Discus Thrower & His Dream Factory teaches an important lesson to our children. Dreams have no boundaries if you follow them. Imagination, luck, and hard work are necessary ingredients for success. If your mind bubbles, creates, and breathes life into dreams, then dreams can become real. The mind is the factory, which forges the dreams. Information last reviewed on 4/2/2018 10:42:45 AM. Generated on 4/26/2019 5:41:07 AM (PST) ADI/HQ/GBA/2019/ARIELCLOUD/v3.0.2018.0126.